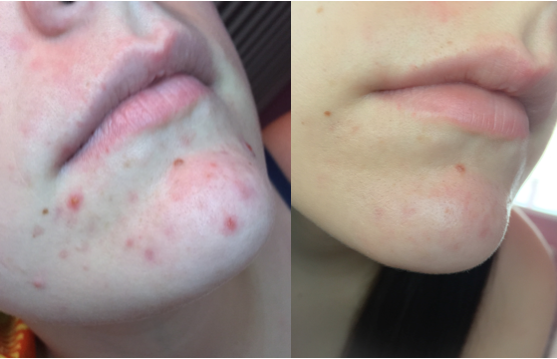 For years have I have struggled to keep my acne away. I have tried so many different products to try and help get my skin back to being clear but none of them have been able to keep the spots from returning, even with continued use. 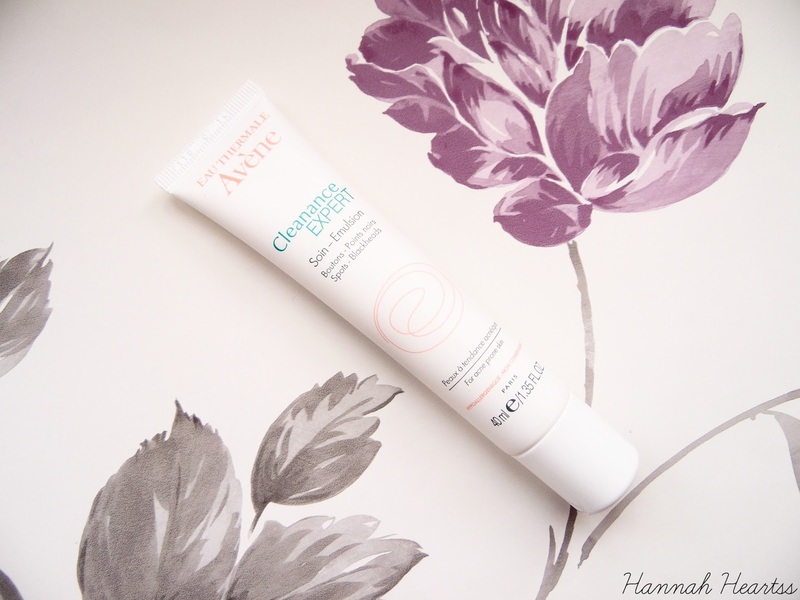 Until I started using this Avene Cleanance Expert* which is rich in Avene thermal spring water. I have been using this product for over a month now and the pictures above show just how incredible this stuff is! This is specifically for acne prone skin to get rid of spots and blackheads, reduce redness and limit the spread of dance-causing bacteria. It is oil free and leaves a matte base behind which is great for being applied before make up and is suitable to be used along side topical acne medicines. This can be applied morning and night to cleansed skin but I have only been using it at night and still got amazing results. The cream is very light weight and once it has been applied to the skin it sinks in very quickly.This is more on the hydrating side which is great for my skin has it is quite dry and I find with some acne clearing products they end up drying my skin out but I didn't have that problem with this. Normally when I have a couple of spots they never really go away and there is always a mark left behind. I have always had pretty bad redness on my chin, which is where all of my spots occur. I noticed results over night which I was really impressed with. The biggest spot I had reduced quite a bit and a lot of my redness had also reduced too. Every morning I noticed a reduction and I am now at the point where my skin is clear finally and what is even better is that I have continued to use it every other day or so and still no spots! My skin can be very sensitive and reactive some times but I had no issues with this product. Another problem with my skin that I have is white heads on my chin. I have tried everything to get rid of them for years and nothing worked apart from this! It is honestly like a miracle product for my skin. I cannot recommend this enough if you have spots which you are not able to get rid off. I have told so many people already to try this and my mum is even loving it at the moment. It retails for £15 but is only £11.25 at Escentual for the rest of March!